Padmini Palace was known as the palace of beautiful Queen Padmini. Located inside the Chittorgarh fort, it also has a magnificent lotus pond near it. 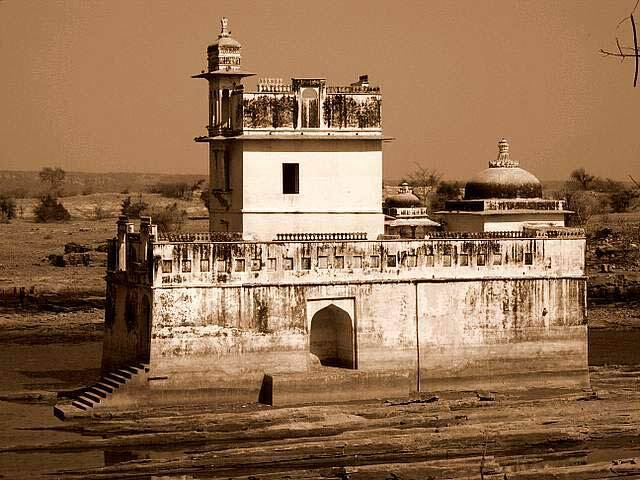 It is the palace from where Sultan Alauddin Khilji was allowed to see the reflection of Rani Padmini in a mirror. Allured by her beauty, Alauddin Khilji fought a fierce battle with Rana Ratan Singh, husband of Queen. Padmini palace has magnificent architecture with a scenic surroundings. By Road: Padmini Palace is located in the Chittorgarh Fort at a distance of 5 km from centre of Chittorgarh on Fort Rd. One can easily reach here by rickshaw, local bus or taxi or by walk. By Rail: Padmini Palace is well connected through nearest Chittorgarh Railway station (6 km) to major cities railway stations like Delhi, Agra, Mumbai, Chennai, Bikaner, Pali, Jaipur, Ahmedabad. 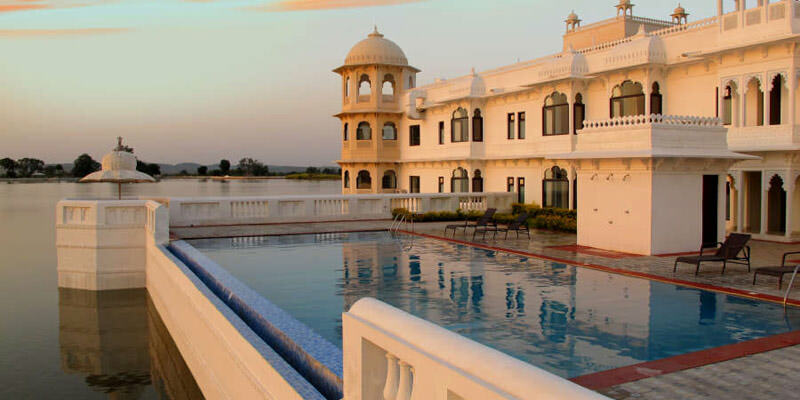 By Air: Padmini Palace can be reach through nearest Udaipur airport (98 km) which is well connected with regular domestic flights to Delhi, Mumbai.